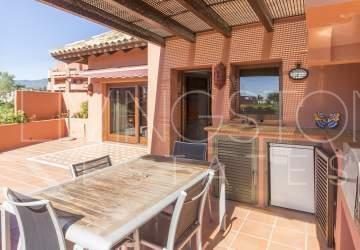 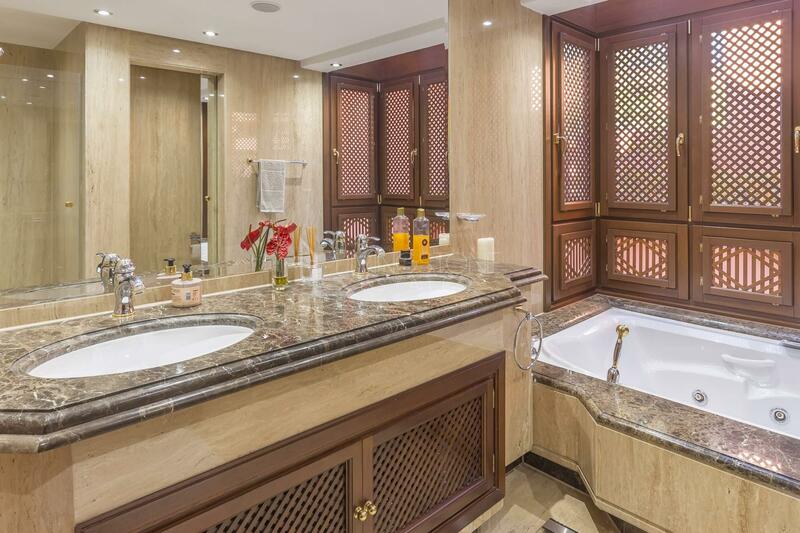 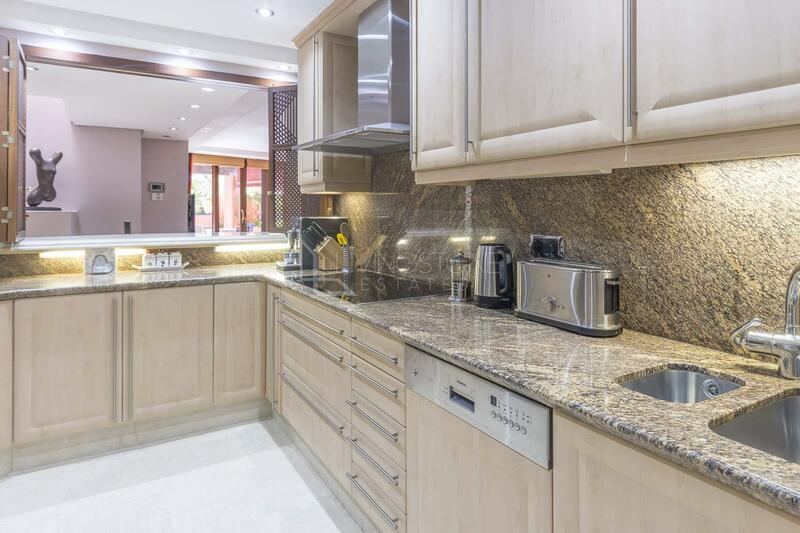 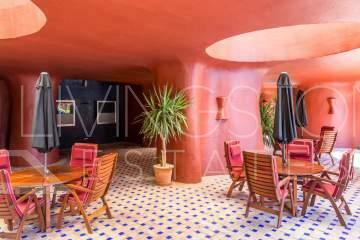 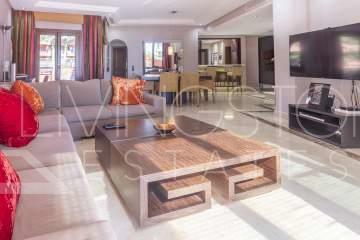 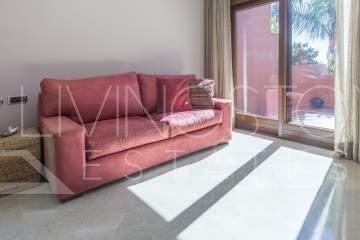 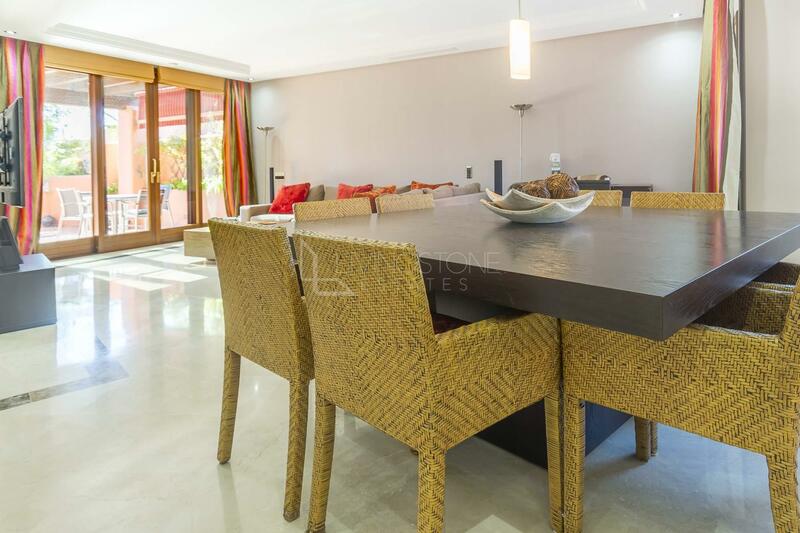 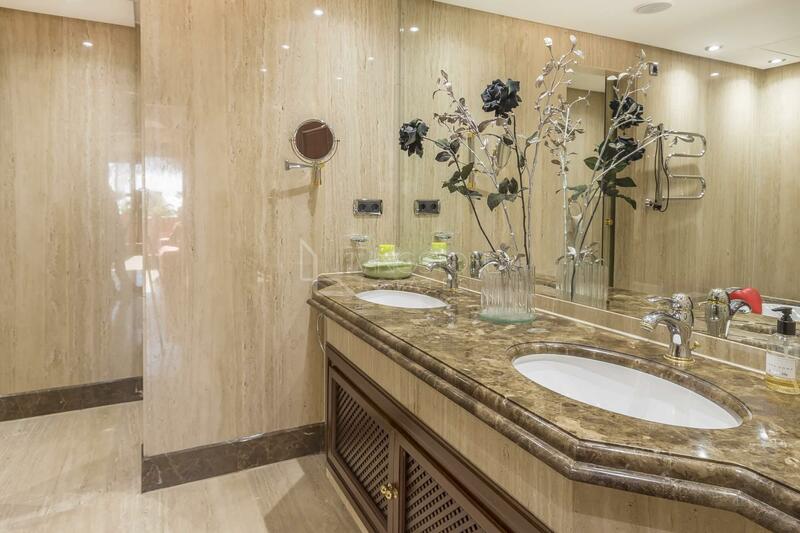 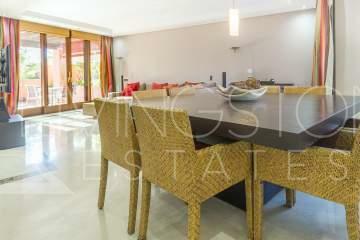 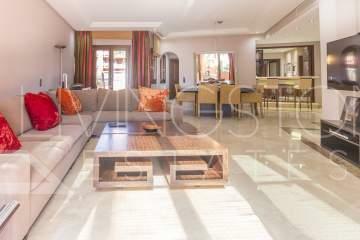 Luxury duplex-penthouse in the beachfront complex in the prestigious area of New Golden Mile. 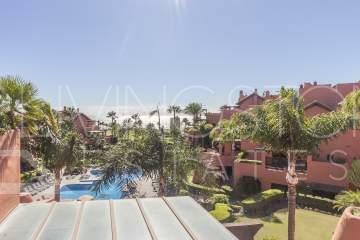 The main level consists of 2 guest bedrooms, 2 bathrooms, large living room, spacious terrace with the sea views, fully fitted kitchen with the utility room. 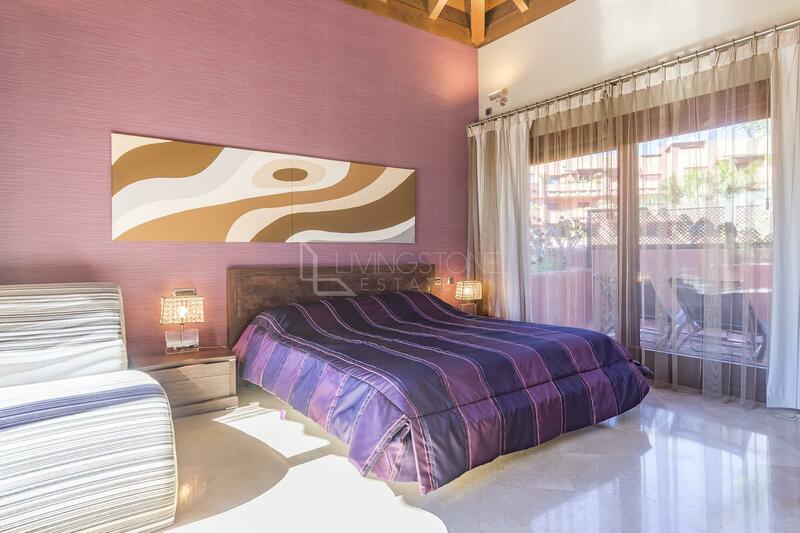 On the upper level, there is a master bedroom en-suite with the high wooden roof, exit to the terrace-solarium with the BBQ and jacuzzi. 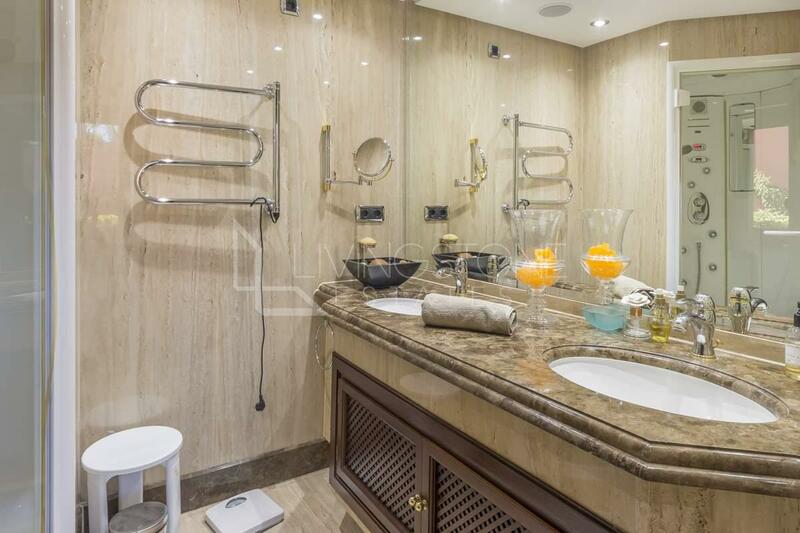 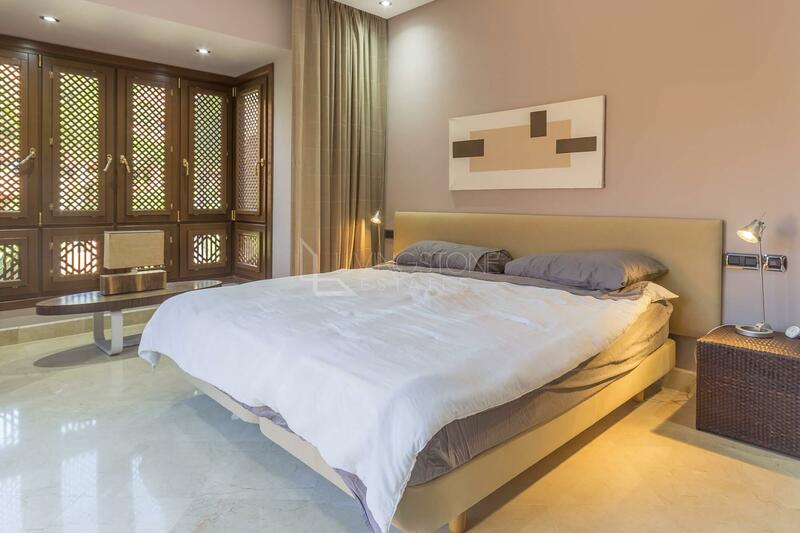 The penthouse is equipped with marble floors, double glazing, installed wardrobes in all bedrooms, hot/hot air conditioning, under floor heating, domotic system. 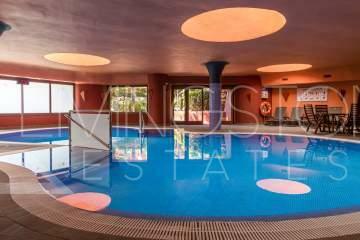 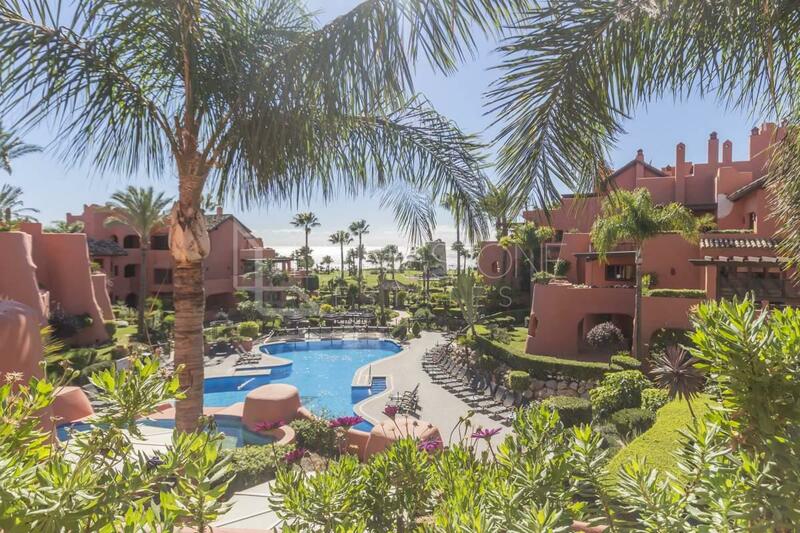 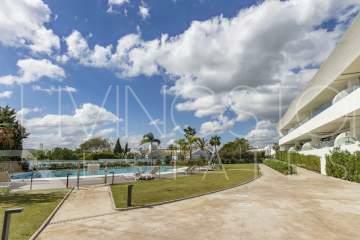 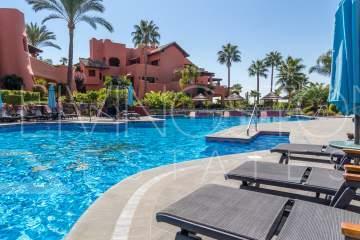 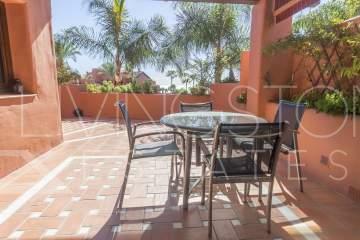 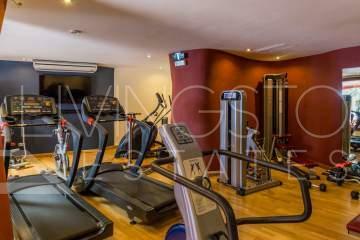 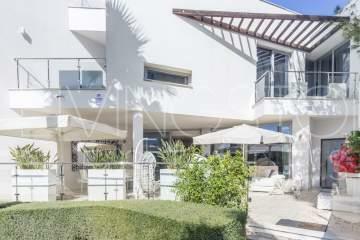 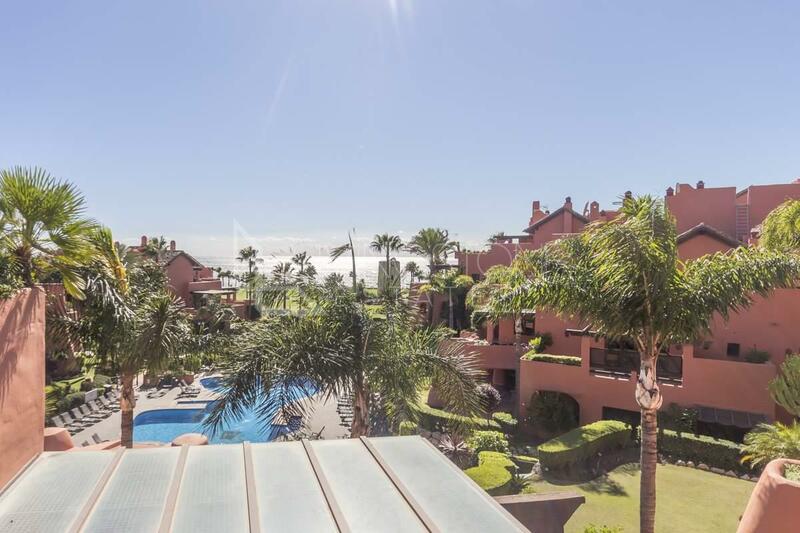 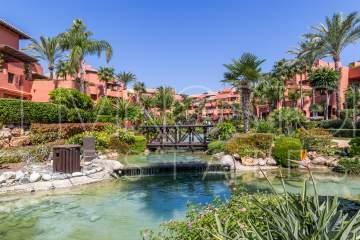 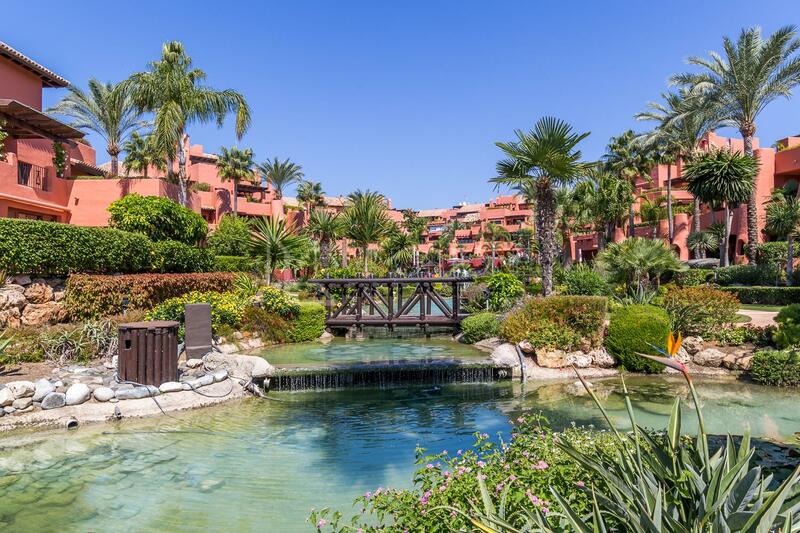 The complex is gated, with 24hours security, tropical well maintained gardens, two summer swimming pools, indoor heated pool, gym, and sauna, in 10 min drive to Puerto Banus or Estepona, in walking distance to local restaurants, bus, and taxi stops, to the beach and to the beautiful seaside promenade.